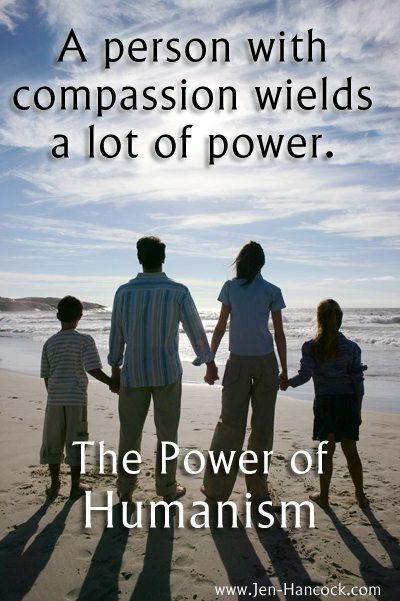 1) Compassion helps us feel less irritated. When you feel compassion for them, instead of being annoyed at how badly they are behaving, you are thinking how sad it is that they are behaving that way. I would rather feel sad for someone than irritated by someone. So I choose compassion. 2) Compassion makes us less afraid. It is very easy to make jerks larger than life. They are ogres or demons. Horrid people. The problem with thinking of a jerk as if they are an ogre or a demon is that those are scary supernatural creatures. When you feel compassion for a jerk, you are not only keeping them in the realm of the human you are actually turning them into pathetic human, which isn’t all that scary. 3) Compassion helps us to be more strategic. Jerks are annoying and when we are annoyed, we don’t think so well. This gives jerks the advantage. By feeling compassion, we can feel less annoyed and more calm. When we’re more calm, we think more clearly. The more clearly we think, the less easily we can be manipulated by jerks. So instead of responding in an emotional way, we can instead respond in a strategic way. 4) Compassion helps us avoid regret. Most of our dealings with the jerks of the world leave us with a whole lot of “could have, should have” thoughts. If only we thought of that snappy comeback in the moment! We could have gotten the better of them. Instead, by feeling compassion, we respond calmly and strategically so that we’re rarely left feeling like we could have or should have done things differently. Additionally, because we responded without fear and with compassion, we’ll probably feel better about ourselves as people. Responding with rationally and with compassion is about the best anyone can do. Don’t fall into the trap of thinking that jerks don’t deserve compassion! Compassion isn’t just something you do for them. It’s something we do for ourselves as well. Don’t deny yourself these benefits.